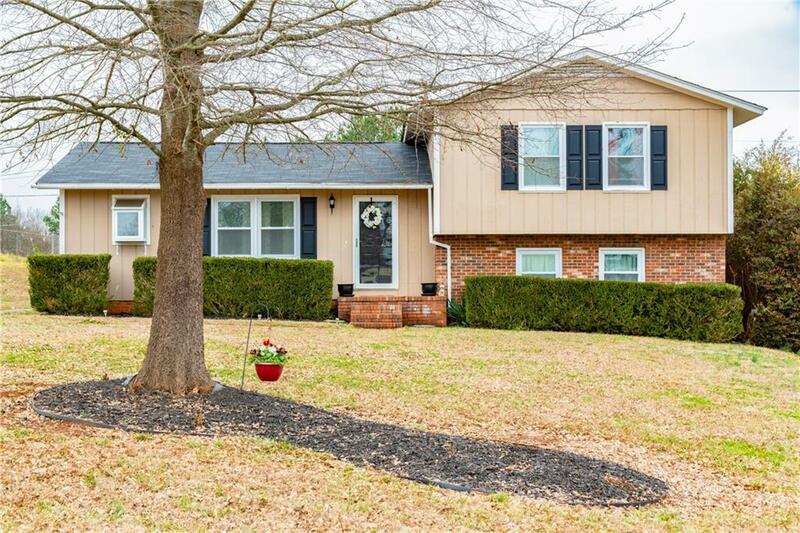 Very cute three-bedroom split level home on a corner lot in a quiet neighborhood. Enter this spotless well-maintained home and you will immediately feel welcomed. As you step into the living-room youâll notice an abundance of windows, high vaulted ceiling, and light oak colored floor giving the living room a large open feel. To the left you find the kitchen with beautiful oak cabinets and a built-in dishwasher, as well as a smooth top range and built in microwave. Off the kitchen is a dining area with French doors leading to the multi-level deck. This beautiful deck is a great place to host your Saturday evening barbecues, or just sip your coffee on those warm summer mornings. Back inside, going up a half flight of stairs leads you to the three bedrooms and 2 baths. The bedrooms feature plenty of closet space. The master bedroom has its own bath room with a walk-in shower. The second bathroom features a tub/shower unit. Down a half flight of stairs from the living room leads you to the lower level entertainment room. This large room features a projection TV system with surround sound that conveys with the property. Off the entertainment room is a large laundry room with plenty of storage space for household items and cleaning supplies, as well as a large walk-in closet. This room could easily be used as a fourth bedroom. This room also has a door to the back yard. The back yard includes a fenced in area, fire pit and large storage shed. Come and see this beautifully clean, move in ready home today.